Spoiler Alert: I love this thing, this is why I moan about it so loud! I bought my smartwatch LG Urbane nearly three years ago. I had been super excited that it would change my life and free me from the constant nagging of the phone’s notifications. Despite Tasker and AutoWear none of this came true and I have been using the watch mainly to check the time, notifications and streaming tunes when I can be bothered to go running. Mi Band 3 is out, so I thought I will retrospectively share my thoughts about the older (still relevant) model. I’m not a gym freak, but I run when I have to (when the situation forces me to flee or my scale shows over 90kg) and cycle with passion. Mi Band 2 has been monitoring my activity over the last 10 days which is long enough to pass the judgement, especially that the band itself is down to 17% charge. Let’s start with the issues, as I’m going to praise this thing later on unapologetically. My daily routine involved getting NotEnoughSleep™ at various hotels in Beijing and Xi’an (I’m still in China) and clocking about 15-17k steps a day walking around seeing places. The band was on ALL the time, except the embarrassing moments at the airport checkpoints where I realised I must be looking like a dufus with the band on one hand (left) and the smartwatch on the other. The Mi Band 2 assumes that you will go to sleep at 10 pm. While the band is pretty smart at figuring out when you actually went to bed, it won’t track your naps or your sleep well if you work nights or abuse your sleep with late/early flights. There is an option to set the sleep time in the app itself, but who does that? While on the subject of sleep, the app also missed few “awake” moments despite being set to the more battery hungry sleep monitoring mode. Because I consider myself a “heavy” user (both in terms of my BMI and the sheer volumes of notifications I set up for this thing), I’d like to clarify the 17% battery after the 10 day period. I can totally believe in the 20-day battery life. With my use, Mi Band 2 has been working hard for its money, notifying me about everything while counting the steps and using gestures to display the info. Notifications – who does it this way? The Mi Fit allows the app notifications to be displayed on the band (limited info) and that’s fine. Who thought it would be a great idea to buzz the band and hide the icon a few seconds later? If you don’t check the band within 5 seconds, you will never find out which app has notified you again. I’d rather have the latest notification to be dismissed by the button instead. The Mi Band 2 is cheap, you can grab (if you are lucky) for less than £20! It’s small, light and despite IP67 rating, watertight – I took several showers without killing the band. After a week or so of use, I can see why others love this device. 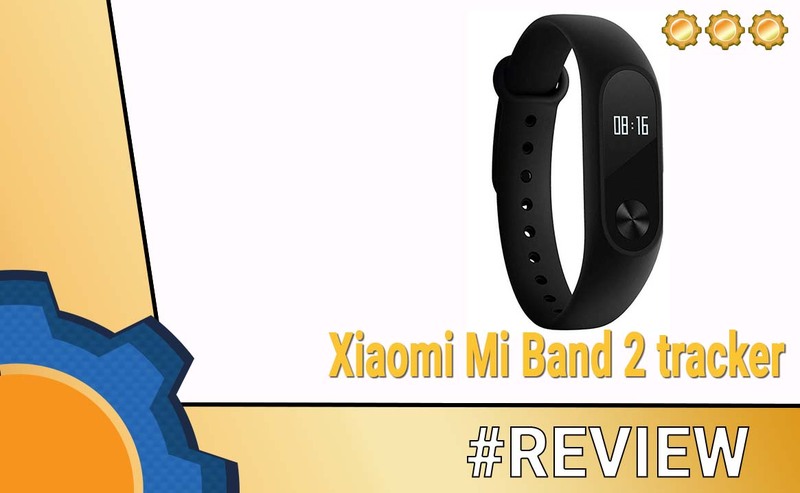 You could technically use it on its own (apart from the setup process) but installing the Mi-Fit app enables a hidden layer of information gathered by the Mi Band 2. A nice touch is the stats which are shared with other users, allowing you to see how your life stacks against the other people of your age around you. I find myself constantly being at the extreme ends of the charts, but I’m aware I have a very hectic life which I should work on. This is an activity tracker so there is an entire section responsible for logging various exercises helping you out with your daily routines. I tried this a little bit, but since my time with the MI Band 2 had been spent on sightseeing, I mostly just logged a lot of steps. I know, I slanted the notifications for the way the band displays it, but it is nice to have the support for it. You can manage the notifications in the Mi Fit app and decide what apps should alert you. Thankfully, a complete overhaul is possible using the 3rd party apps. More on that later. The built-in HR monitor works well, although TECH2GEEKS has reported to me that the sensor is less than stellar for people with darker skin tones. In my tests, the LG Urbane was slower in reporting the heart rates, and both wrist gadgets were returning similar values. The smartwatches are great in theory but in practice, Wear OS is underdeveloped. The LG Urbane can get laggy at times, or even drop the connection when you need it most, making rendering the voice commands useless. All this comes with a super short battery life of 2 days max before the watch needs charging. Over the years I stopped using the smartwatch as an active way of controlling anything. The LG Urbane is wrapped around my wrist to provide me with time, notifications, stream music while I’m running and handle a handful of small Tasker profiles. Looks like I can achieve almost all of the above with a $30 MI Band 2. I’m more than happy to sacrifice the music streaming experience in exchange for 10 times longer battery life. I know the notification system is not as robust as on the Wear OS, but 8 times out of 10 I found myself taking my phone out of my pocket to deal with a phone notification anyway. I don’t think I will be missing out. Comparing the MI Band 2 at $30 to any smartwatch priced around $200-250 it quickly becomes apparent that you don’t get the 5-10 times the functionality for your money. If you haven’t jumped on the Wear OS bandwagon yet, but thinking about a smart wearable, perhaps consider the Xiaomi offer first, unless your mind is fixed on a specific Wear OS functionality. Just looking around the Play Store I can see several apps expanding the functionality of the Mi Band 2. So far I have played with the Mi Band Tools only, but something tells me I will go through more Mi Band 2 apps to see which one works the best for me. Tasker support will be one of the requirements. Bear in mind that these apps can cause conflicts if installed together so try it out first, then see what suits your needs most! Android Wear has a long way to go to become relevant. For a fraction of the price and with an awesome battery price you can get the Mi Band 2, Tasker and one of the MI Band power apps to go with it. I’m already impressed, and I’m looking forward to what Mi Band 3 will bring to the table.